Fast paced adult party game that is sure to have you and your friends shouting out hilarious answers. 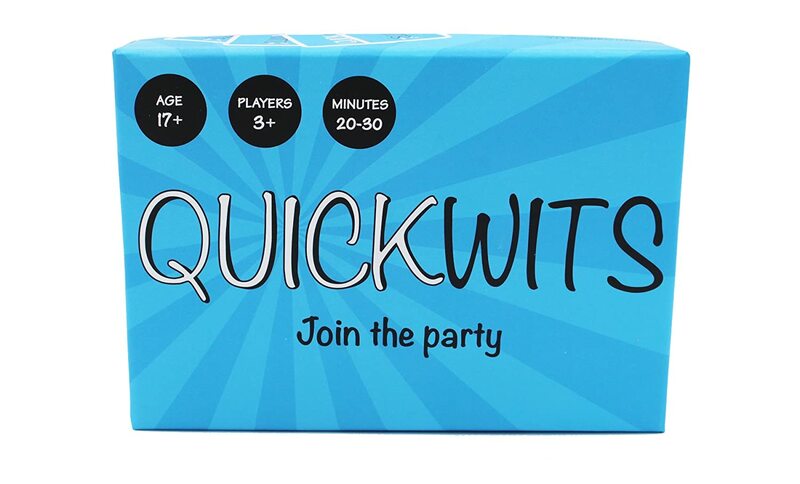 QuickWits is easy to learn (in any state) and turns unexpectedly dirty faster than you think. THERE ARE SOME ADULT THEMES so you may not want to play with grandma. 20-30 minute rounds. Ages 17 and up. 3 or more players. 150 high quality cards. Not for the faint of heart, the uptight and those with weak bladders. Play responsibly.